Here at MUO, it’s clear that we absolutely love Google Earth. What’s not to love? You’ve got the awesome Google Earth games 6 Google Earth Games For Some Fun & Frolic Around The Globe 6 Google Earth Games For Some Fun & Frolic Around The Globe Read More and stunning 3D imagery that Saikat reviewed for us. And of course an awesome weather layer How To View Live Weather Radar On Google Earth How To View Live Weather Radar On Google Earth Read More and a flight simulator Feel The Need For Speed with Google Earth's Flight Simulator Feel The Need For Speed with Google Earth's Flight Simulator Read More to boot. It’s one of those apps that I keep installed on my PC, get obsessed with it for a while and then forget about it only to “rediscover” Google Earth a few months later when there’s something that I need it for. Recently, I went through yet another rediscovery phase, and after running all of the latest updates learned that once again Google Earth does not disappoint. It is really hard to cover everything that Google Earth is capable of in just a few articles, and even then you’ll probably discover something brand new that you can do with Google Earth. 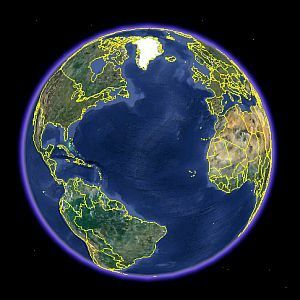 In this article, I’m going to share five really cool features I found in Google Earth. These features are perfect if you’re looking to build a new house or trying to find a place to live, going on an adventure somewhere and need to plot out accurate distances, want to send your friends impressive views of your area from a bird’s eye view, or if you’re a history or an astronomy buff. Sound like an eclectic enough mix of features for you? Intrigued? Let’s roll. What these features come down to is exploring. Whether you’re exploring a mountain range, planning out an expedition down some winding river on a kayak, or searching for distant galaxies in the sky – everything in this article will bring you a step closer to finding what you’re looking for long before you ever even step foot out the door. One of the most interesting (or maybe the scariest) things about society today is how rapidly the population continues to grow. Nowhere is this more obvious than on Google Earth. How does Google Earth show population growth? Through its “historical imagery” tool, which you can access under View -> Historical Imagery. This view opens up a slider bar in the upper left corner of the display and shows a date range from today all the way back to the late 1990s. This is a really cool tool when you want to see what sort of changes took place in a community – not only population itself but where people built new structures on their property, where land has been cultivated or left to overgrow, and many other little details that are easily missed over the course of time. Slide the time bar over to the next line in the timeline (signifying another available image), and watch as you travel back in time – buildings disappear, large fields show up that today are filled in with trees and bushes. Near a metropolitan area – suburbs of a city especially – you can see more dramatic changes. Entire subdivisions that exist today are non-existent on those older satellite images. New buildings, stores, and entire shopping plazas disappear as you glimpse back in time over a decade. It’s pretty cool to think that you can pick any spot on Earth and thanks to Google Earth you can travel back in time to see how things at that location have changed (for the better or for the worse…). Another interesting tool is the “Sun” tool – found in View -> Sun. This tool also shows you a slider at the upper left corner of the screen, but this time when you slide it over to the left, you’ll see the time change rather than the date. As you glide back in time, you’ll see sunset and sunrise take place. Watch as the shadows slowly disappear as the sun rises over the horizon and envelopes the entire region with its rays. So what good is this tool? Maybe hunters or fishermen could use it to calculate sunrise and sunset during a certain time of the year in their part of the world. Of course, there’s a lot more to this tool than meets the eye. Consider the direction that the sunlight is coming from, and where it first hits the trees, the valleys and of course the homes. What side of the home does sunlight first strike in the morning? What side of the home does sunset take place? Too few people take these sorts of things into consideration when they either build or buy a home, and then wonder why they don’t have one of those wonderful homes where the first rays of the morning sun filter into the kitchen window and light up that part of the home for the daily morning ritual. If you want a home that hugs sunlight in one area in the morning and then follows the waning light of the falling sun at night – pay close attention to what this Google Earth tool tells you about the sun in your part of the world! One of my favorite things to do is to pack up a backpack with some water and snacks, and head up to the White Mountains in New Hampshire for a hike with the family. However, having young kids, I need to be sure that the hike that I’ve planned isn’t excessively long. 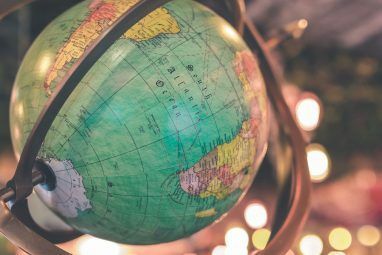 Online maps give you general rulers that you can use to judge distance, but there’s nothing quite like being able to trace out your precise map and receiving an exact calculation of the distance that you plan to travel. In Google Earth, you can do this by going to Tools -> Ruler. When you see the crosshairs, just click at the start of your planned route, and then click at regular intervals along the way. Your route path follows your exact line of travel from point to point. The benefit of doing it this way is that you can trace out the curves, nooks and every cranny of the path you plan to follow. As you go, the path tool shows you the exact length of the trip in whatever units you like. We’ve shown you the flight simulator here at MUO, but consider the sorts of amazing views you could come up with by flying around some of the most exotic places in the world. As I mentioned, we love the White Mountains, so I decided to fly in and around the mountains where I’ve hiked in the past and plan to hike in the future. The views are just breathtaking, even in this digital format. When you’re flying like this and you see a spectacular view that you want to email to a friend, just go to File -> Email -> Email Image, and you can immediately send off a snapshot of that view to one of your friends via email. This “share-from-email” is available from right inside Google Earth – it’s very cool and very convenient. You can actually do this from any view at all while you’re using the program. 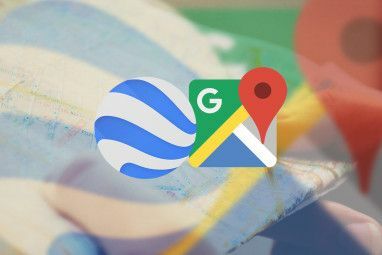 There’s also a similar feature – the “Record a Tour” tool – which is basically the same thing except it lets you take a video recording of what you are seeing in the Google Earth viewport as you explore. This lets you put together virtual tours for friends and family. Finally, if you are a fan of astronomy, or you have a budding astronomer in the family, you will want to click on View -> Explore -> Stars. I’ve written before about Google Mars and you can explore the Moon here as well, but the most impressive “Explore” tool in my opinion is the “Sky” option. This view lets you look up at the sky on Google Earth, rather than down at the ground. This is like virtual star-gazing in this virtual world. Best of all, you can move around the sky just like you normally would move around the Earth, and double-clicking will zoom you right into the galaxies you see. You can see actual NASA imagery of those regions of space, with all of the accurate, scientific names labeled right on the display. It gives a whole new meaning to the concept of star-gazing, and few telescopes that you’d find on any back patio will give you this kind of detail. 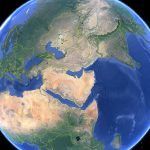 So if you’re interested in exploring the whole world and beyond in ways that you never thought possible, give some of these Google Earth tools a try. Let us know what you think about them. Do you know about any other cool Google Earth features or tools? Share your insights in the comments section below. Its credit to Google that they continue to improve and add features to GE. Apart from speeding up the image updates its hard to see how it can be improved upon. but they continue to suprise. I did'nt even know you could do these things with google earth!